January 26, 2017  Andrew Puzder runs the empire behind Carl's Jr. and Hardee's. So far, 33 current and ex-employees have alleged wage theft, harassment and discrimination at his company. The industry stands by its man. 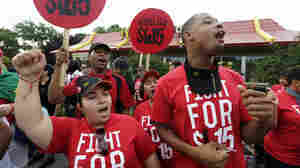 February 23, 2016  The Birmingham City Council approved a minimum wage of $10.10 an hour, but some state legislators want to block it. 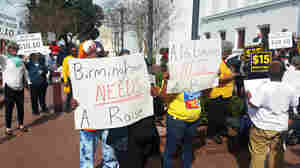 A coalition representing low-wage workers is trying to defend the Birmingham bill. 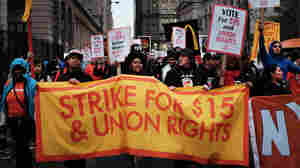 November 10, 2015  In dozens of cities, low-wage workers, backed by a key union, held demonstrations demanding a minimum wage of $15. They planned to protest in Milwaukee outside the Republican presidential debate. 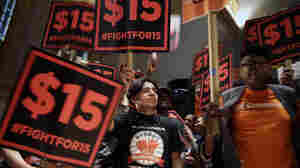 July 23, 2015  The increase, which boosts the minimum wage for many fast-food workers from $8.75 to $15 over several years, needs the labor commissioner's OK. 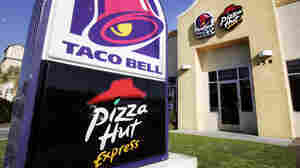 Franchise holders say they're being targeted unfairly. 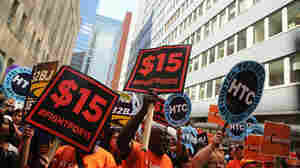 July 22, 2015  The University of California system will increase hourly wages to $15, while New York is one step closer to doing the same for its fast-food workers. 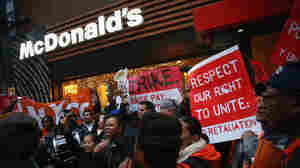 December 4, 2014  Fast-casual chain Moo Cluck Moo, in suburban Detroit, pays all of its workers far above the typical wage for a fast-food employee. It's part of its business model. 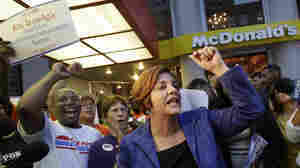 September 4, 2014  Union organizers say workers need a liveable wage and that the campaign to win them is gaining momentum, but the industry says higher wages would increase the cost of fast food.